HomeConferences, Lectures, Papers and WorkshopsThis House would see Unseen University Run By Witches! This House would see Unseen University Run By Witches! 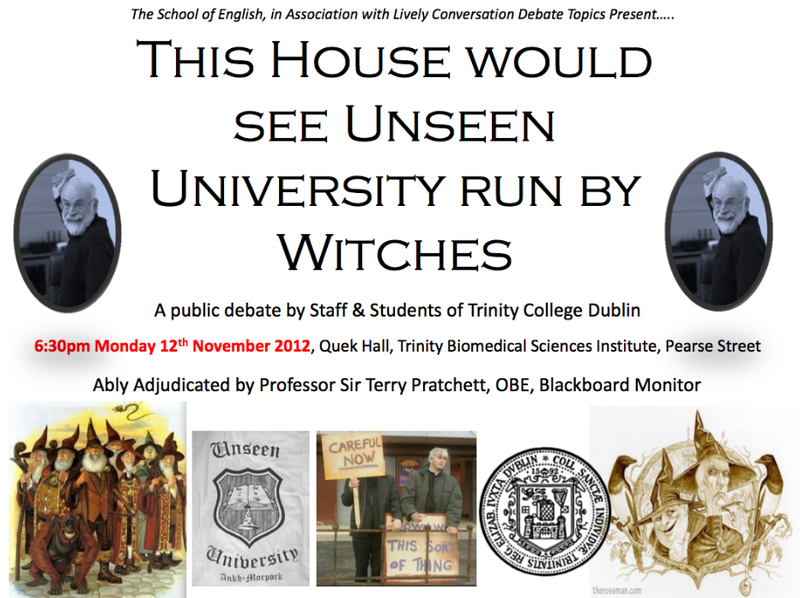 Ably Adjudicated by Professor Sir Terry Pratchett, OBE, Blackboard Monitor, the debate will be held at 6:30pm, next Monday, 12th November 2012, in Quek Hall, Trinity Biomedical Sciences Institute, Pearse Street, Dublin 2 (map here). There are 300 seats in the lecture theatre, and they will be filled on a first come, first seated, basis. Unseen University run by witches? Which witches? What makes anyone think that any sensible witch would even want to run the UU? Please, please, PLEASE record or livestream it for those of us living in lands far, far away who have also always rooted for the rights of Thee Wytches although not particularly in relations to Unseen Universites or other such educational institutions. 47+1th request for live streaming! Livestream requests all the way down. Yes! 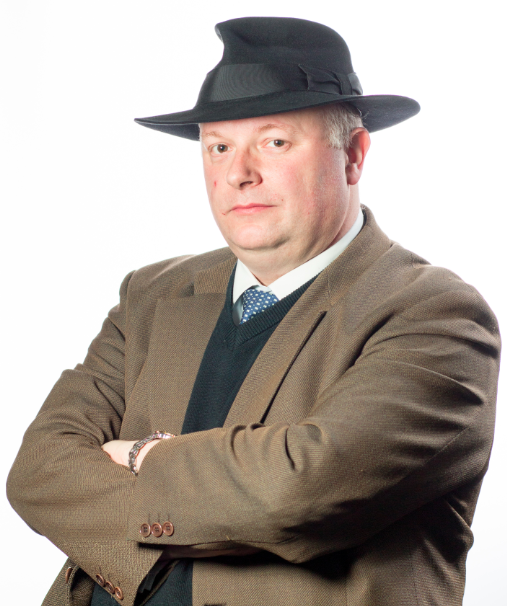 Streaming please…. Or perhaps an uploaded recording?